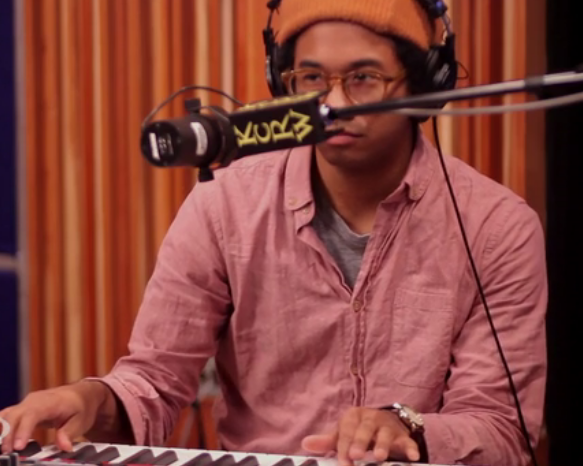 Currently Watching: Toro y Moi on KCRW’s Morning Becomes Eclectic. | Pulp and Circumstance, Juiced. Currently Watching: Toro y Moi on KCRW’s Morning Becomes Eclectic. In advance of his gig in The Paradise on Friday night, humblest is enjoying his killer performance on Monday’s KCRW’s Morning Becomes Eclectic. Enjoy yourself the 40 minute session–in audio or video stream–over at their website. This entry was posted in Currently Watching, jwolf and tagged toro y moi. Bookmark the permalink. ← Delicious Drip: Just Blaze x Baauer – “Higher”.